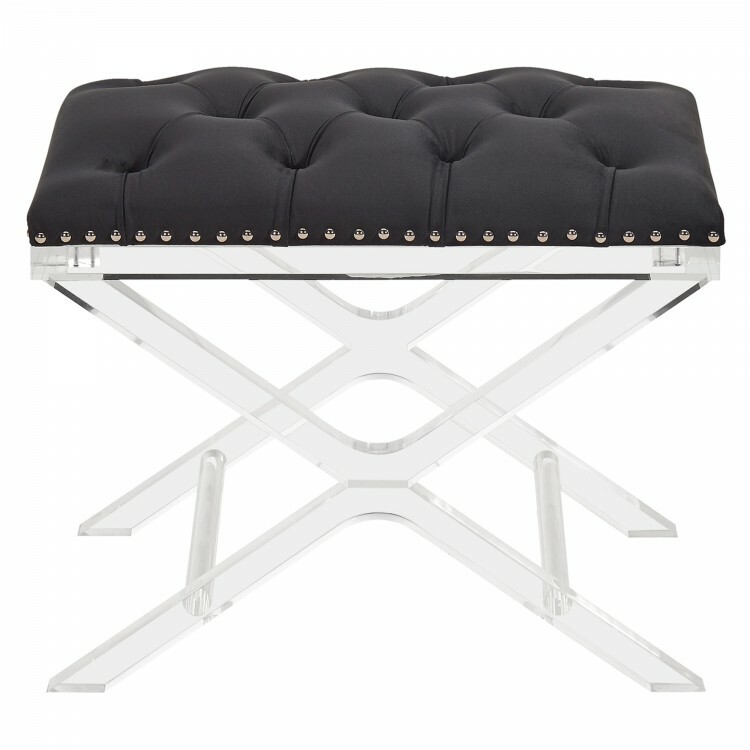 Description: Sleek and chic, our Armen Living button-tufted Cody ottoman with silver nailhead trims features acrylic legs and is upholstered to perfection. 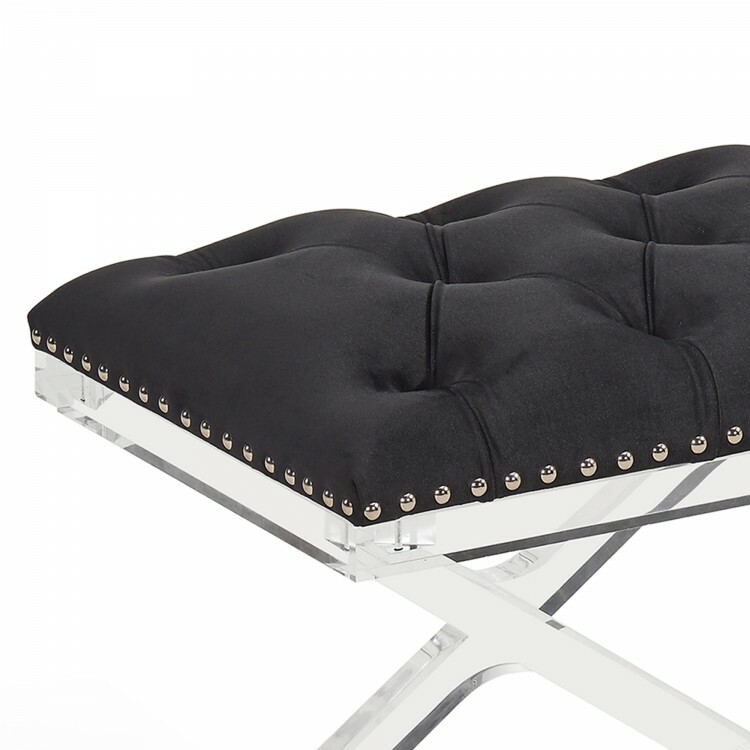 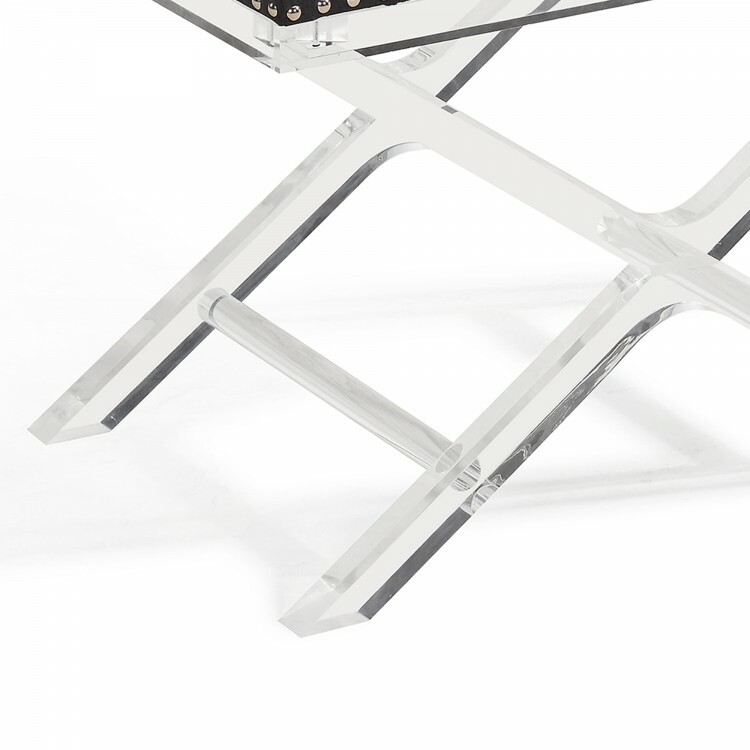 This contempoary ottoman is versatile and can be used in your hallway, to place magazines or casually as a cocktail table. It is aesthetically pleasing and can be used to enhance the interior of your home even as a vanity stool. 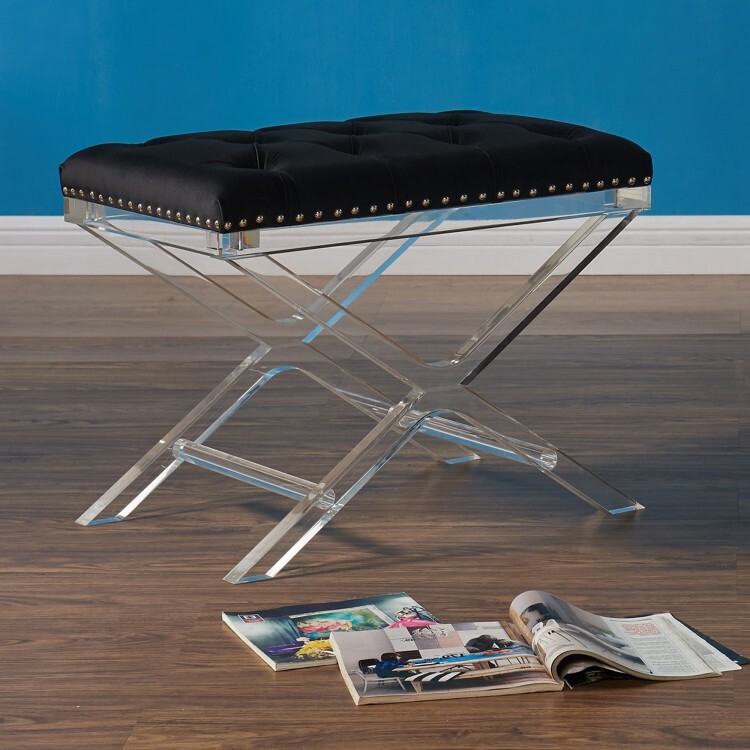 Made of soft fabric and durable clear acrylic x-cross legs, it goes beautifully with any contemporary and modern styles. 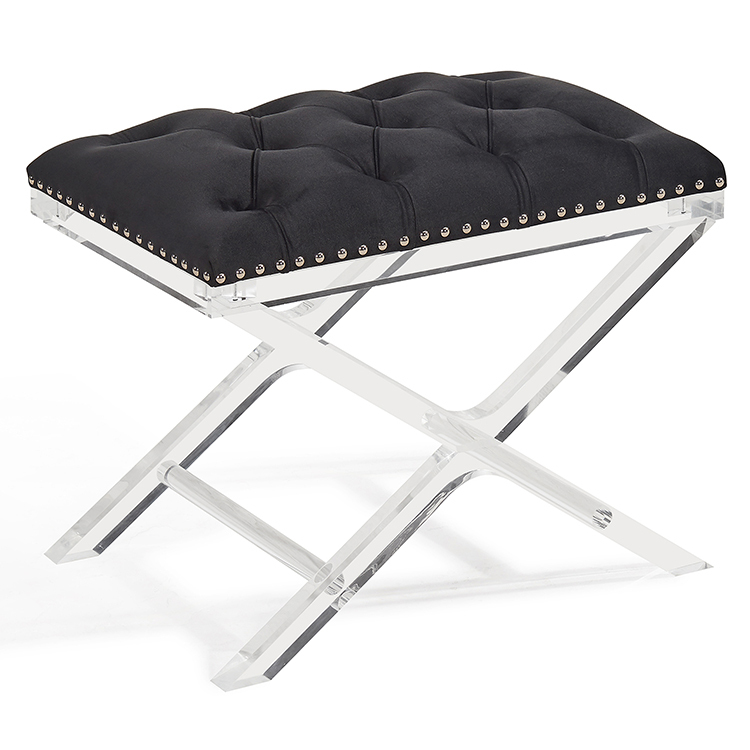 Available in Black or Gray velvet upholstery.